One summer, we drove into the Gorge to view the falls. There are several falls along the way. Multnomah Falls is the tallest, and is now a major tourist attraction, complete with gift shop, food carts, and a fancy restaurant where a few years ago Rachel Ray filmed a segment of a food show. 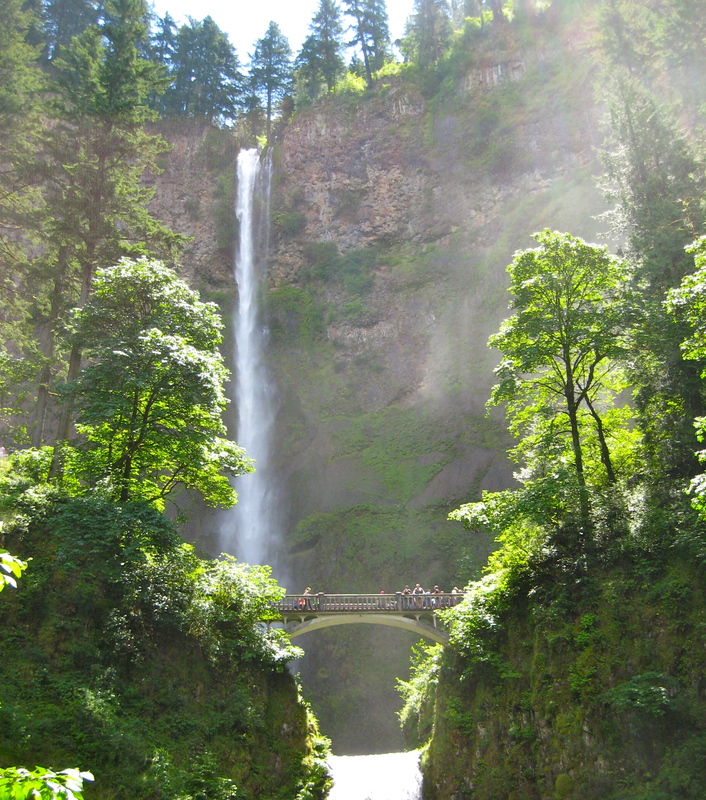 Summer falls, and it’s hot in town and in the Gorge, but the mist from the falls is cool. 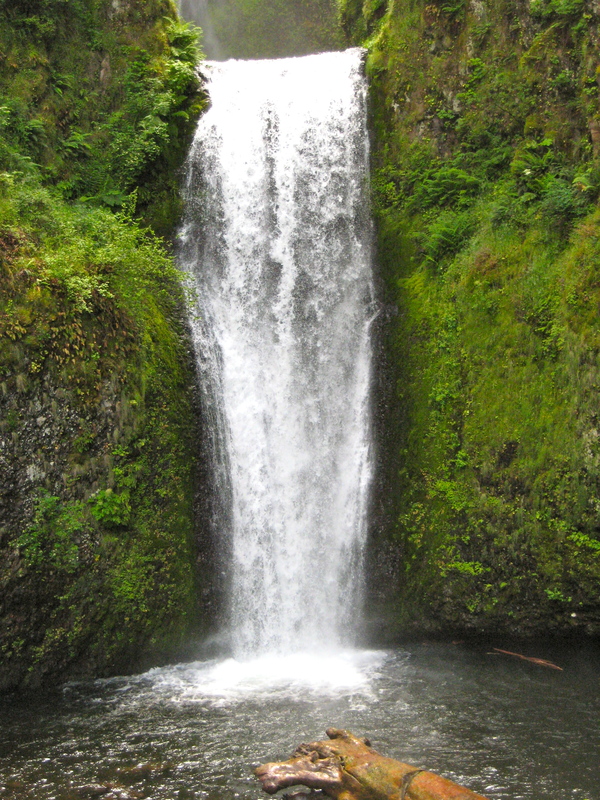 There are two falls at Multnomah Falls, an upper and a lower. To get to the pool at the upper falls, you hike a switchback trail up to an old bridge. The pool below the upper falls is now off limits, but you can view the upper falls and the pool below from the bridge. We used to climb down the trail and wade into the pool, but you can’t do that any more. Wading into the pool, you could get soaking wet just from the mist from the falls. The falls don’t take the place of waves, the smell of salt-water breezes. In the Gorge, in the summer, if there’s no wind, the air seems thick and heavy, but if you take the old highway, you pass along cliffs of shade and green fern groves growing under the fir trees. And the falls are always a cool surprise. Anyway, this last time we stopped at Multnomah Falls, Susan decided not to make the switchback hike to the top. On my way up, I passed a group of men coming down. Their heads were shaved. They wore robes and sandals. I didn’t think much of it; monks, I assumed. I nodded as we passed on the trail. When I got to the bridge, I spent some time looking at the upper falls and turned around and crossed the bridge to look down on the lower falls and below to the trailhead to try to spot Susan. And there she was, sitting on a stone bench, surrounded by the monks. I waved and waved some more and finally caught her attention, and she waved back, and all of the monks waved too. I took a picture of her in the middle of the monks, all waving. Then they all stopped waving and went back to talking with Susan. Later, Susan told me they were Zen monks. And this morning I’ve spent probably 30 minutes looking for that photo. Alas, it seems to have disappeared. I think in a past life Susan may have been a Zen monk who attained enlightenment. ….lotus blossoms wave – passing once on a river of light……. Susan disappeared. Brilliant. In analogue ways the image could have been underexposed, In digital ways it could have been overexposed. Either way, or any odd way, she disappeared mysteriously from the recording radar. I remember instances when exquisite musical tunings, where the microphone and all gadgets were perfectly set up, did not record sound. The waterfalls are magnificent. Only looking at them invigorates. Oh, the jewel in the lotus, the thunderbolt in the void, the clickety-clack clack of the railroad track. Still a wordpress problem. My comments want take, so I now try the reply box. Thought of how in analogue ways the image might have been underexposed, or in digital ways overexposed – spirit evading the recording. It happened to us occasionally with sound recordings of exquisite musical meditations – nothing – despite every gadget having been properly set up. Brilliant, Susan slipped out from under the dream screen, though the image lives on in your memory. Yes, where did it go? It was never here, or never there. So there are these images that can’t be captured for easy replay, repeat, copy. At the same time, we sometimes get surprised seeing something in the recording (film, photo, poem) that we did not see that was there? Ashen: A couple of comments showed up in my WS spam file. I moved them into regular comments and “approved” them. Meantime, a few obvious spam messages appeared in my regular comments. So yes I think there was a problem there with WP (or Akismet?). But thank you for reading and the comments. I’m continuing to look for that pic of Susan with the monks, and will post it if I find it. All these photos (including boxes of old slides) are not very well organized. How do you do that? Trying again. My comments don’t take here. I thought wordpress had sorted the problem. Trees wave—water falls—monks sit—river flows—time passes. Thanks for reading and taking the time to comment, Viktor. The Columbia River Gorge is indeed a very beautiful place. Some scenes from the first Twilight movie were filmed in that area. Have you ever shot the lodge just up the old highway from there in Corbett? It had a bad fire a couple of years ago (not the lodge at the falls, although that one was very close to a forest fire a few years ago). Hey, Vince. Thanks for reading and comment. No, don’t know the Twilight movies. Will check that out. There’s a house that can be seen from I-84 in that area that is surrounded by landslide, can’t remember what year, the rains brought the hill behind it down, washing through (have not been by there in a while, so don’t know if it’s still there or it’s been removed). Last movie I did see with scenes from the area was Short Circuit (Number 5), but that’s an old movie now, but a classic for its shots from Astoria to the Gorge. Yes, I believe that Susan has reached enlightenment .You may finally be beginning to catch on , Joe . You are on the path . I am pretty sure I have that picture. We were with you that awesome day when the monks found Susan and the monks were never the same. 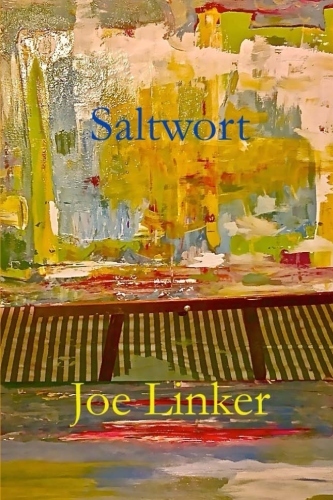 I will send you a copy. Hey, Barb! Was that the time Tom and I walked all the way to the top, past the bridge? Full on summer and still we felt the spray from the falls. The Fabulous Falls. Might be a good name for a band. yes, it was. a great adventure, lots of great memories.